I first noticed thinning in my mid 20’s. I had very thick hair all my life so glimpses of a shiny scalp in pictures was a little unnerving. I continued to thin consistently in to my early 40’s. I considered surgery for years but struggled with the images of “barbie doll” transplants that I had seen in my youth. In late 2013, I had an especially frustrating morning playing “fill in the blanks” with my hair. 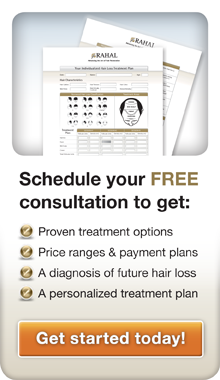 I spent the next month doing extensive research on hair restoration procedures and physicians. 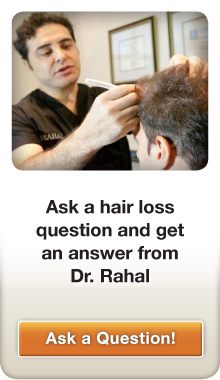 I opted for Dr. Rahal and booked a consultation. I had my FUE procedure on March 26th, 2014.